Legal Name: Fortis Builders Ltd. Limited Company. Complete kitchen refurb and new lighting throughout the home. 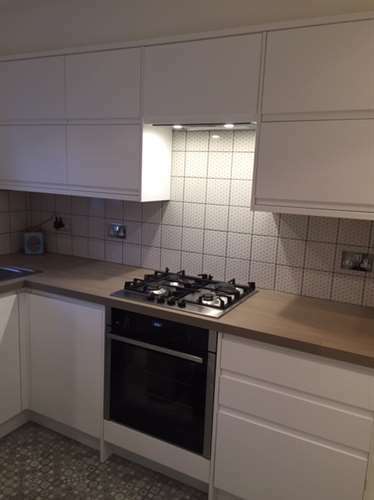 "We have used Fortis on two previous occasions and both times we were very pleased with the work, so we asked them back to give our kitchen a complete refurb. From the outset they were very easy to deal with and clearly explained the whole process including dealing with the kitchen supplier. The initial quote and timeframe proved to be accurate and they actually finished ahead of schedule. The kitchen supplier made a few errors in their plan but George and Martin gave us appropriate options and came up with good solutions very quickly. The whole team had a great work ethic and were friendly and polite. Despite this being a large job, disruption was kept to a minimum and they went above and beyond with the cleaning afterwards. I would absolutely recommend Fortis and would use them again and again. We only publish images & captions that have been supplied by the business and approved by the customer, so you can be sure that they are genuine and respect the customer privacy. George, Martin, Błazej, Marek and Bart. "Martin initially came to quote for the works and was very knowledgeable and very friendly. After I had looked at other companies I decided that Fortis Builders were the company that I felt would do a good job. Throughout the works they kept me informed of progress and were happy to accommodate the odd request of me coming back to the flat to pick up a few bits. The work was down in a timely fashion as agreed to an excellent standard and I am very happy with the results. I would highly recommend them to anyone and will be sure to use them again in the future." Ground floor extension requiring significant excavation, removal of back wall of the house and setting of new foundation plus building of superstructure with steel members and both external and internal walls. Installation of two large rooflights and heavy triple-glazed glass sliding door. Fitting new suspended ground floor and new kitchen, and new shower room complete with all associated electrical work, plumbing, heating and finishings. Additional work on the first floor to enlarge an existing bathroom by adjoining it to separate loo, and complete refitting of the new bathroom including all associated plumbing plus finishings. External painting of two-storey house. Installation of solid wood flooring throughout the house. Weekly meetings with architect, who oversaw the work, throughout the project duration (ca 14 weeks). House was vacant at time of building work. The price quoted here includes building work, supplies, fittings and VAT (but not costs for architect, structural engineer, Local Council). "Fortis Builders did an excellent job, whilst keeping to cost and time, and also being flexible to any amendments we requested. An Architect had been engaged early to see through all approvals required by the Council for Planning and Building Control, Structural Survey and Party Wall. The Architect prepared a Schedule of Works which Fortis Builders used as their baseline for quoting, and together with a Gantt Chart for timing, was an important document to direct and manage progress. Fortis Builders were always friendly and it was a pleasure to work with them. Fortis Builders worked well with the architect and regular billings were initiated by the architect on the basis of work done. Their skills were recognised and all parties showed respect for each other which made the whole endeavour quite a pleasure. The most time consuming part was to specify and source the fittings, especially as we were overseeing the whole project from abroad. We are delighted with the results. Our house has been transformed." Full replacement of kitchen (including plumping and electrics) and heating system. Painting and decorating. "From the beginning of the project they kept me fully involved with the design and layout of the kitchen and advised best locations for the appliances. They also took into account the height of cupboards etc to ensure I could reach things easily. 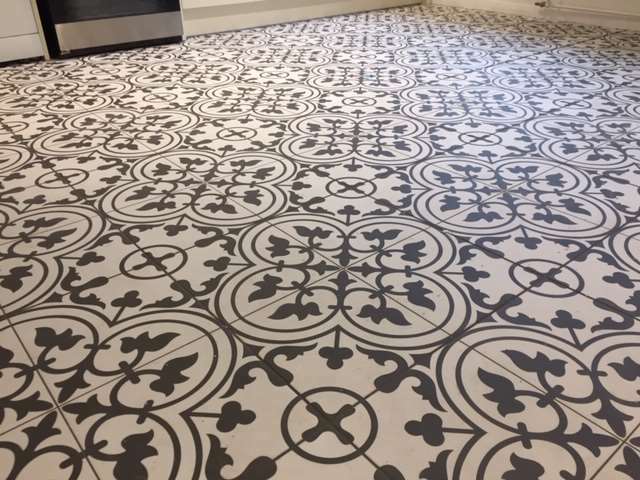 From the tiles to the painting, any changes that I requested were done without issue and they were more than happy to oblige. Due to the age and location of the boiler and heating system, I required this to be replaced and the boiler moved. Best locations for the boiler were discussed and agreed and the system replaced with the latest model. All safety checks were carried out and warranty provided. I found them very easy to approach with any questions and appreciated the advise regarding the best materials for the various aspects of the works. The work areas were kept very tidy and all who were on site were extremely helpful and friendly. Over all, this was a very good experience for something that could have been stressful. I would highly recommend this company and will definitely use them again for future projects." Boiler installation, cylinder, underfloor heating, kitchen and bathroom installations. 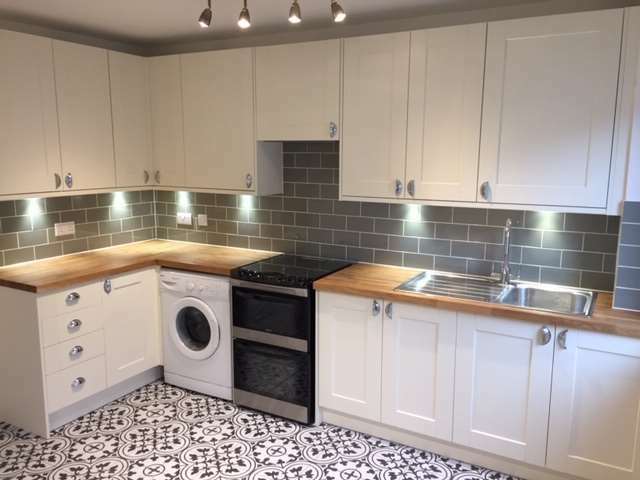 "Fortis Builders Ltd completed a challenging project for me which involved boiler work, under floor heating, kitchen and bathroom installations. The project was on a high value property in N6 and required the installation of expensive fixtures and fittings. George, Martin and the team were punctual, hard working and delivered a high standard of workmanship throughout, I wouldn't hesitate to recommend them to homeowners, architects and project managers." To create an internal window in a Victorian house. The wall was slightly problematic because it was unclear whether it was load bearing or not. Make the window. Make good and paint wall and kitchen. "Fortis was really good at dealing with a Victorian house which can present unpleasant surprises. They said that if the wall were more problematic in being load bearing, it would not affect the price. We also got good advice. One multi-skilled worker did the whole job of making a hole for an internal window, making good, plastering, carpentry and painting, which is a great advantage. He was very pleasant and just got on with the job. He cleaned up every evening. Also, our carpets all the way up to the front door were protected. We will definitely use Fortis again and have recommended the company to friends." 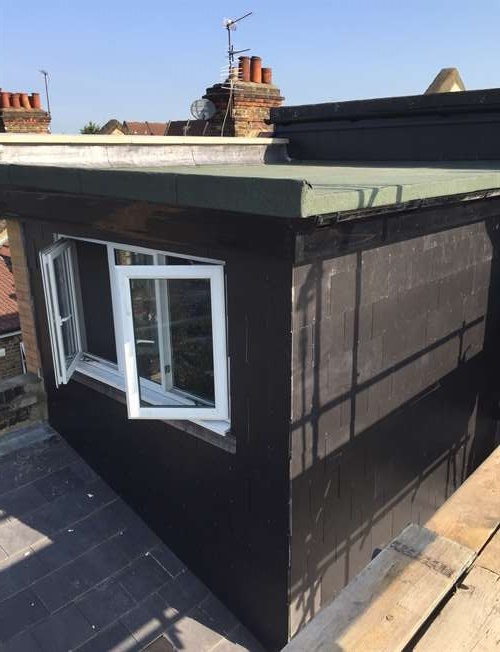 Alterations to communal electrics and plumbing, installation of kitchen and x2 bathrooms, structural steelwork, re-configuration and roofing repairs to existing roof. "George, Martin and the team are very professional and efficient. They have done lots of work for me over the years, which I am always happy with. Almost a complete refurb of a Victorian conversion. Kitchen/bathroom installation, new boiler extensive repair to plasterwork in lounge. Met George back in the Autumn and discussed the project a good few months in advance of the start date, there was no pressure on timelines, this helped set a realistic budget. Finalised project needs a few weeks before. Restored sash windows in much need to TLC to a very high standard. Bathroom is amazing-tiling, bespoke back to wall unit/bath panel. Also did a great job with the kitchen fitting/design works brilliantly. Did a full re-wire, again an excellent job. There were a few add-on jobs which the team happily undertook (new skirtings/doors/windows) . Kept site tidy-we very considerate of neighbours. The Fortis team have made an excellent job of updating and restoring the character of what was a dated 80's conversion." Fitting of kitchen units and appliances, plumbing and heating work incl fitting a new boiler and moving the sink to a new location, electrical work incl installing a new circuit board, lifting and re-laying parquet flooring, replacing a door and window with 2 full French doors, plastering and decorating. 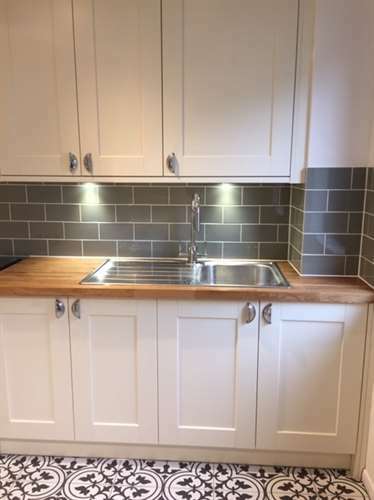 "Fortis Builders fitted my new kitchen, which involved plumbing and heating work incl fitting a new boiler and moving the sink to a new location, electrical work incl installing a new circuit board, lifting and re-laying parquet flooring, replacing a door and window with 2 full French doors, plastering and decorating. They were very professional while also being friendly and helpful and took time to advise on various options and which they'd recommend. They took care to explain what needed doing and why and when slight unforeseen changes were needed, explained why and what my options were. They also helped to achieve the end result I wanted, even when the kitchen supplier said one particular idea wouldn't be possible. They were reliable, always turning up on time, and finished the job in the time predicted. They were respectful of my space and minimised disruption as much as possible. As well as George and Martin working to a high standard, the subcontractors they used were also very professional. I'm delighted with the finished result; the kitchen is just what I wanted. I'd have no hesitation in recommending Fortis Builders"
Complete bathroom refurbishment and WC replacement and tiling. "Absolutely superb work from a friendly, hard working and experienced team. George had previously repaired a water damaged wall and installed eave vents in the loft for us; we were impressed so we decided to use him again. George gave us a quote (which he stuck to) and explained clearly what would need to be done. If we weren't clear on something he would always explain to us in layman's terms. His team were fantastic - hardworking, friendly and trustworthy - and they all seemed very experienced. In short everything went to plan and we were very happy with the results. Good prices and quality work. I will definitely be using Fortis again in future." Rip out existing kitchen and flooring and install new. Build internal wall to create downstairs cloakroom. Move door/change entrance to kitchen from hall. Change lighting and install new kitchen and flooring throughout ground floor, including levelling floor. Paint hallway and stairway up to first floor level. Move boiler higher on wall and make good. Fit extra electrical sockets, and replace old ones with new fittings. "I was kept informed all the way through the process. As with any building works some problems arose due to unforeseen circumstances but these were all communicated clearly and in a timely fashion and every issue was dealt with to my satisfaction. "Fortis builders first install for me was my kitchen . The install was explained to me from the very onset and there was a clear and good communication through the works . The kitchen was finished as promised on time to an extremely high standard . 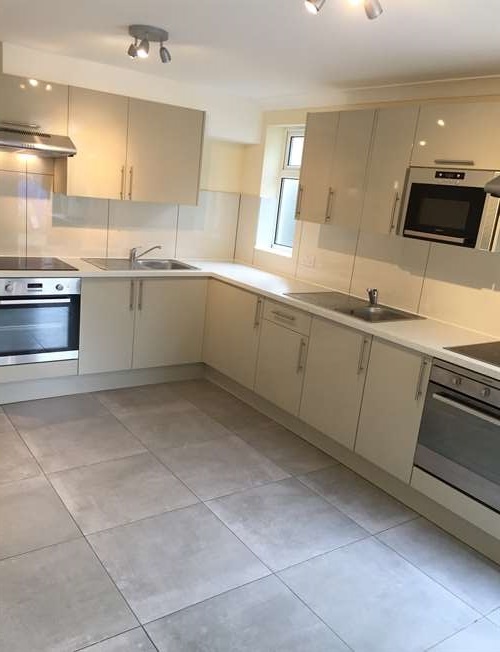 We were so pleased by the standard of work, professionalism added with just good communication and ease , we decided to ask Fortis Builders to continue with the refurbishment of our home . Next areas to cover were the living room , hallway and my 2 sons bedrooms.FB installed wardrobes ,matching wall paint to the dark grey ready made doors and then fitting the flat pack cupboards so they would look seamless floor to ceiling . Perfectly installed and looking like bespoke work . Our apartment had not been refurbished to a high standard for 2 decades. In the lunge and bedrooms Old air con units were removed , old wiring and walls and window frames were made good. We are so pleased with the work Fortis builders have done , we have asked them to come back to install a new bathroom, for our bedroom install further wardrobes and then decorate the whole bedroom and ensuite area. A great team of builders covering all services from electrical, plumbing , painting, carpentry and anything you can ask them to do . We would highly recommend Fortis builders to anyone lucky enough to fit in their busy schedule ."